Mild steel round bars many uses in Engineering & Fabrication as well as other projects. 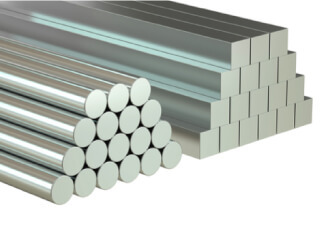 Mild Steel Round Bar can used for making security grills or screens, gates etc. It is stocked in 6mtr lengths, but can be cut down to your individual requirements. For prices and sizes available give us a call or fill in a request form. Mild steel brings strength and formability allowing steel round bars to be used in many ways. They can be used as many different forms of supports and are also widely used in projects. These steel bars are also environmentally friendly as they are widely recycled due to their versatility. Low carbon content of the steel also allows the bars to be drilled and welded. Mild steel square bars many uses in Engineering & Fabrication as well as other projects. Mild Steel Square Bar can used for making security grills or screens, gates etc. It is stocked in 6mtr lengths, but can be cut down to your individual requirements. Mild steel square bars combine strength with workability. Low cost of mild steel production also makes this type of steel bar extremely desirable within construction. Frames can be supported and strengthened by using mild steel square bars as they are durable and strong. The recyclability of these bars also make them ideal for semi-permanent structures as they can often be used again in other structures or projects. 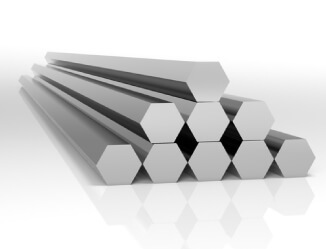 Mild steel hexagon bars many uses in Engineering & Fabrication as well as other projects. Mild Steel Hexagon Bar can used for making security grills or screens, gates etc. It is stocked in 6mtr lengths, but can be cut down to your individual requirements. Generally supplied in a bright mild steel. Hexagonal mild steel bars combine durability with workability and can be utilised in a wide range of construction roles. Frames can be supported or strengthened via the implementation of hexagonal steel bars. The recyclable nature of mild steel also makes it a possible option to create semi-permanent structures with these materials due to the fact that they can be used again for other purposes after use.